What do you do with 20 years of a couple’s accumulated possessions? The things we pushed to the back of the closet or placed in the attic thinking that, of course, I’ll have a use for these Gotcha shorts that are two sizes too small with a 4″ inseam. And who couldn’t use five boxes of Halloween decorations. Today, we are making a start on the daunting task of sorting through our collected belongings to determine what stays, what goes and what gets placed in storage. Having two households loaded with remnants of our pasts provides us with enough projects to qualify for a full time job. If I allow myself to get drawn into the small details and trips down memory lane, I can quickly get immobilized. 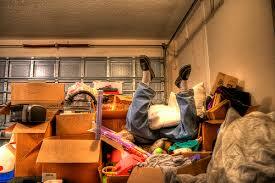 The trick for me is move quickly and be generous in the inclination towards discarding rather than hoarding. Whatever the case, awareness is necessary when coming across old photo albums, letters or other memorabilia to not allow myself to start getting lost in a sentimental journey.